Does your company need a lawyer every time you post on Facebook? Obviously not if it is your personal page. However, when you dive into social media to promote your business you would be well advised to speak with a social media law specialist to keep an eye on what you post. Look at it this way, when a company creates an ad that makes certain claims about their product, that ad has to go through a strict legal review to protect the interests of that company. This is the same approach you should be taking when you begin engaging customers through social media. In other words, get protected before you post. Here are some areas to think about with regard to social media and the law. 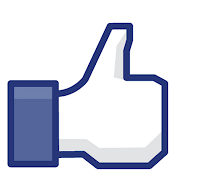 On many levels, you can gauge a successful social media campaign by the amount of followers or "likes" you achieve. Yet when you drill down, an effective social media campaign is much more than a numbers game. All of these issues pertain to a certain level of risk management with regard to employee interaction. Without guidelines you could find yourself dealing with inappropriate posts that could cause great harm to your brand. Do your employees know what they can or cannot post? It's hard to imagine a company getting through the course of business without creating a "disgruntled" employee. Usually, these are the folks who are dismissed because of poor work performance and go on to vent their frustrations. These types of comments can be managed but what about posts from current employees that could be a problem? Make sure that your employees understand that company secrets or making fun of a customer are not something that should be done on social media. All of these types of postings need to be explored with your legal representative in order to form a comprehensive set of rules for your staff. It is much better to work through all the possible scenarios as opposed to doing damage control.